This design is a free pattern from the Cascade Yarns website. 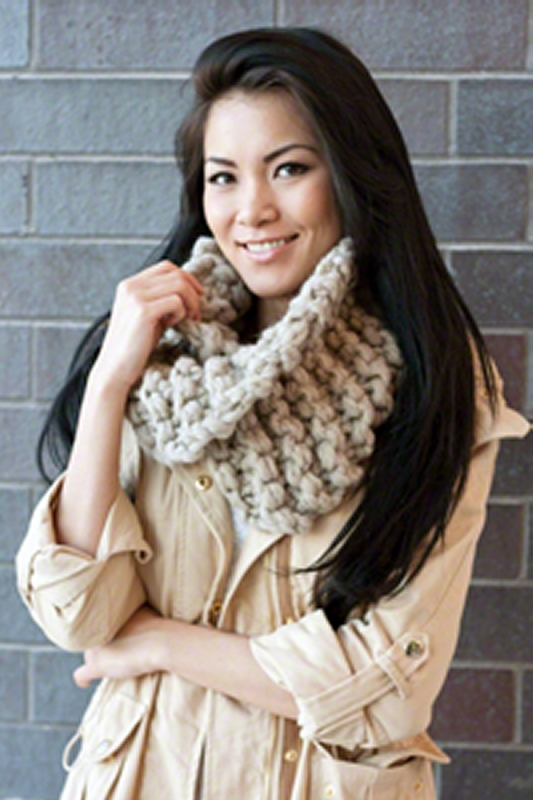 A design by Helen Firing, this cowl is knit double stranded for a cozy fabric! A moebius twist adds interest to this garter-stitched accessory. This design is a free pattern from the Cascade Yarns website. Remember to download the pattern by following the link provided on this page, as it will not be shipped with the yarn. Size US 35-32" needles (or size needed to obtain gauge), and a tapestry needle are required but not included. Finished Size: Approximately 30" circumference by 11" tall. Gauge: : 4 sts x 6 rows = 4 ins/10 cm in garter st with yarn held double on 19mm/US 35 needle.